Despite the Nintendo 3DS release schedule looking increasingly sparse, the ageing handheld is still seen as “a key overall business driver” for Nintendo. With hardware sales still up year-on-year, the Nintendo 3DS continues to find an audience with parents who recognise that the handheld has “great value” as a first gaming device for their children. “…we see our dedicated handheld business with the Nintendo 2DS and 3DS as a key overall business driver here in the Americas,” Nintendo of America president and chief operating officer Reggie Fils-Aime explained to Forbes. “A couple statistics to put this in perspective. 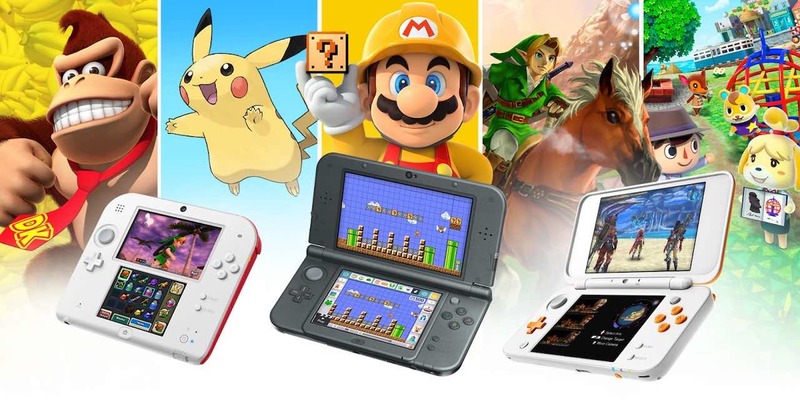 Last December, our 2DS and 3DS hardware business grew 27 percent versus the December the prior year. So far this calendar year, our 2DS and 3DS business is up 10 percent versus last year. “We believe those are a result of our focus on younger consumers and their parents; essentially for 2DS and 3DS to be the first gaming device for 5, 6, 7-year-olds. From a parental perspective, our devices offer great value. With Dillon’s Dead-Heat Breakers and Sushi Striker: Way of the Sushido now out, Nintendo still has Captain Toad: Treasure Tracker, WarioWare Gold, Luigi’s Mansion and Mario & Luigi: Bowser’s Inside Story + Bowser Jr.’s Journey in the pipeline for the handheld.